In an exciting new venture Chiltern Way Academy, RNIB and The Eden Academy have joined forces to provide high quality special needs training. To allow schools to create a calm orderly environment where both staff and students thrive and progress. John Twining is Head of Technology at CWA. He is a highly skilled behaviour Management Trainer and Teacher. John has a wide range of leadership and behaviour outreach experience in both the public and private sector. In school he heads up the Post 16 provision and vocational subjects across the CWA. Ben Lewis is the Lead Behaviour Manager at Prestwood Campus. 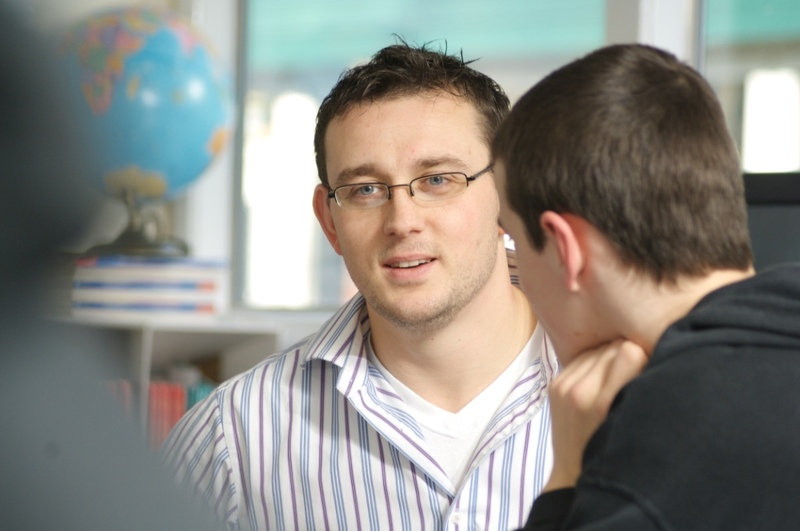 He is a highly skilled behaviour management trainer and a General Services Tutor. Ben has achieved Bild accreditation for the Academy. This is an evidence based process of external validation of the quality of physical intervention training programs delivered to the health, social care and education sectors. All of our facilitators and trainers are practicing behaviour managers. We have experience of successfully speaking, training and supporting across primary schools, upper schools (secondary and grammar), pupil referral units, health/care settings and international policy makers. Recommended for teachers and support staff who work in the primary and secondary sector, PRUs and FE colleges. For details of other exciting new training courses offered by Chiltern Way Academy, RNIB and the Eden Academy click here.